Hazardous substances such as acids or chemicals which are set free at explosions or accidents have to be disposed of by trained personnel and suitable tools. The PKI 9030 includes e.g. special diaphragm pumps of stainless steel, measuring devices, plastic containers, gas and acid protective clothing, light tower etc. 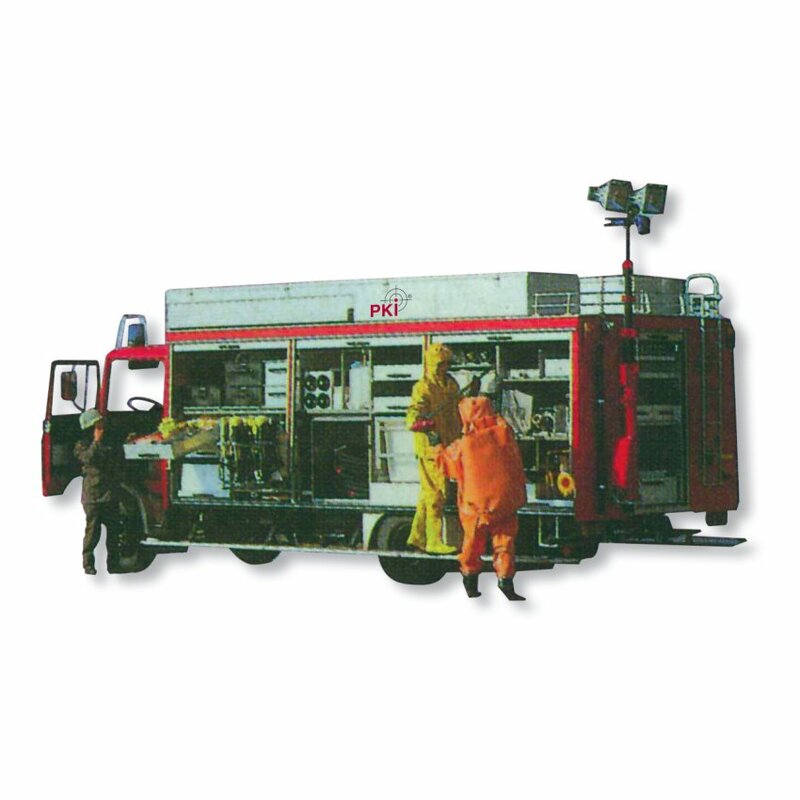 These special devices are included in a fire truck and are part of standard equipment. Kindly let us have your specific enquiry, we will quote according to your requirements.